"You don't have to tell me about sadomasochism. 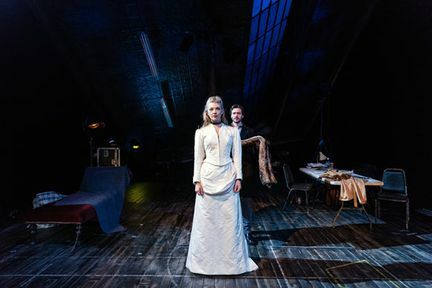 I'm in the theatre." 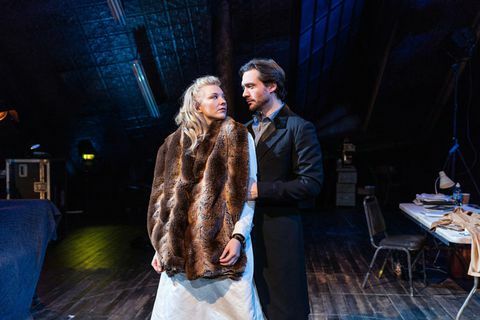 Natalie Dormer returns to the London stage in the hit play Venus in Fur. 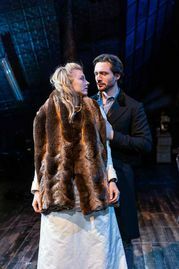 With Nina Arianda winning the Best Actress in a Play Tony Award in 2012 for her role in the play, David Ives’ Venus in Fur took Broadway by storm and is set to do the same in the West End. Playing a strictly limited 9 week run, the production is to be directed by Patrick Marber, who will infuse this intoxicating dark comedy with his usual flare. Desire, fantasy and the innate love of fur will all be explored - hold on tight. Natalie Dormer and David Oakes take on the roles of Vanda Jordan and Thomas Novachek in this London premiere. Director Thomas Novachek is holding auditions for a new production and an unexpected auditionee pitches up; the enigmatic Vanda Jordan is convinced that this is the role for her, even though her initial performance in the audition room doesn’t convince the director. But their charged meeting one evening in downtown Manhattan becomes far more than a simple audition and leads to a seductive dance which explores far more than acting. Venus in Fur is not available to book, please sign up to our newsletter for updates and offers on forthcoming and available shows. Where is Venus in Fur?